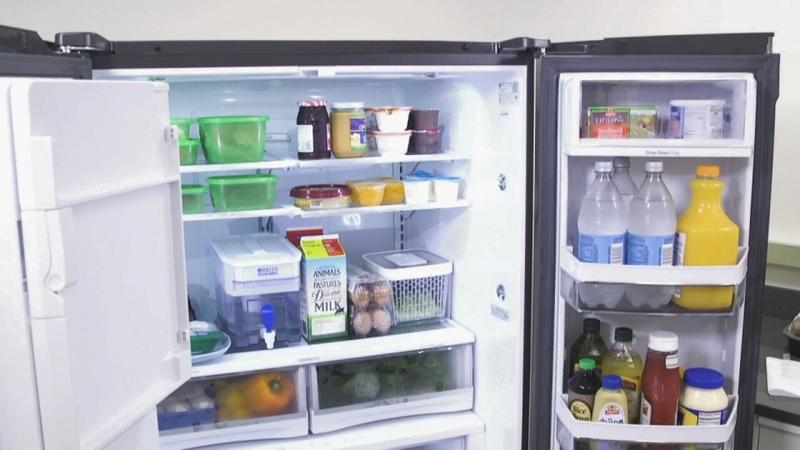 Your refrigerator can get pretty jammed with food and some items that get pushed to the back may have you questioning whether they're still safe to eat. There are about four million cases of food poisoning each year in Canada and food safety experts say there are many things you can do to avoid getting sick. The first thing to think about is the temperature of your fridge. You want it to be below four degrees Celsius. 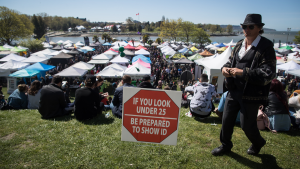 "Once temperatures start to get warmer anything above 4 C but especially between 10 C and 60 C those are the temperatures where bacteria multiply really rapidly,” explained Lorraine McIntyre, food safety specialist with the B.C. Center for Disease Control. Under optimal conditions your leftovers are good for three to five days. But if it smells bad, don’t eat it. You went out bought the club size pack of pork chops, then threw it in the freezer. Days later you only want to cook two of them. Can the rest be thawed out and re-frozen? It depends. ”If it's been thawed in the fridge and kept at 4 C or below I think it's fine, use the ones you need and put the rest back in the freezer," said McIntyre. But you wouldn't want to freeze and re-freeze too often. That takes your food through that bacteria danger zone. While it's not recommended to eat moldy cheese, if the mold is a whitish or blueish colour it likely won't make you sick. "So you can safely cut an inch off and cut around it, I’ll be honest I do it all the time," joked McIntyre. But the same isn't true for soft cheeses. "If this is cream cheese or sour cream or yogurt, toss it out because the mold can grow throughout and you can't notice it," she explained. And finally, that hot pot of chili needs to cool before hitting the fridge. Otherwise it will warm up your whole fridge. “What's going to happen is the outside will get cold but the inside will stay warm for many, many hours and that's when you get those bacteria growing," McIntyre said. To cool it down quicker portion it up into smaller containers. Then you can freeze it for another day. Another good rule of thumb is to throw out perishable items if they’ve been sitting out at room temperature for two hours. And safety experts say deli meats are also something you want to eat up right away. If the sliced meat looks okay, but you're not sure, you can put it in the microwave with a bit of water and steam it, or if you're adding it to an omelette fry it up a bit and cook it before you eat it.